It was pretty easy to do, just lines up the side meeting on the top. 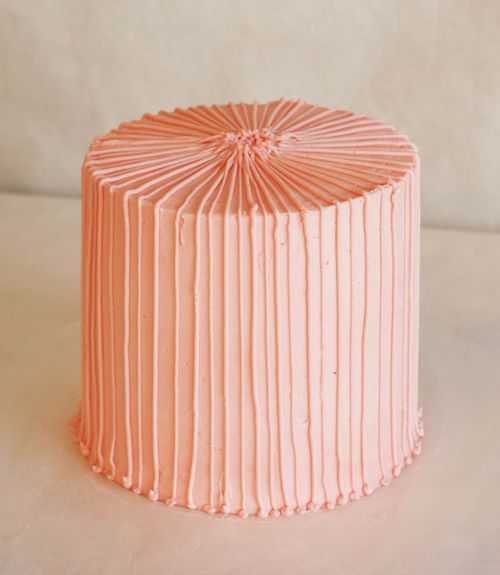 I think if I were to do this cake again, I would pay more attention to detail and make sure everything was symmetrical and straight! You can make me one next month for my Birthday !!!!! Boy! You are great at making it up as you go along!! Oh Amanda—that is so cute. I loved the first picture and then I kept scrolling down and saw the inside and I think my eyes grew! So amazing–what a lucky little girl! Happy Birthday cutie! 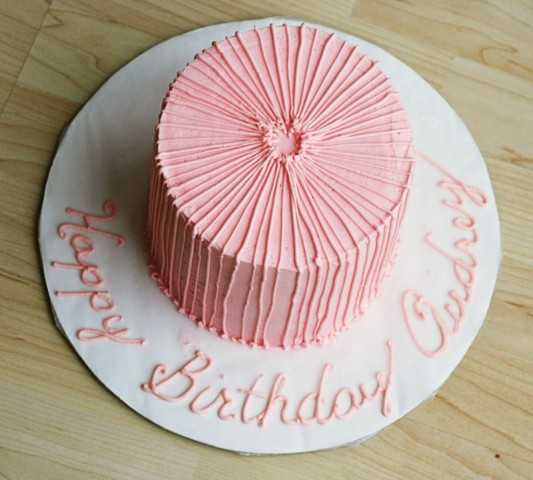 So beautiful and *perfectly* pink for a pretty little birthday princess! Beautiful! 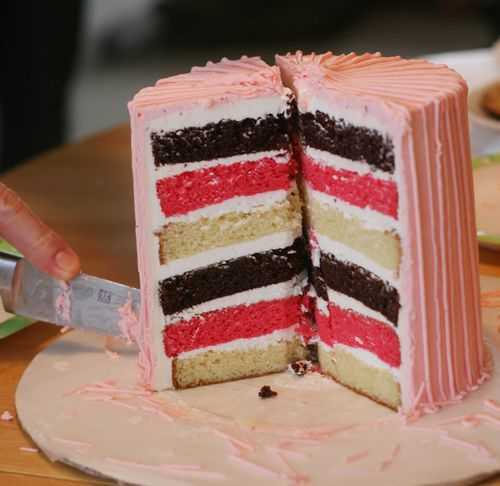 For someone who just winged it…this looks amazing! So much fun! !I love the photo with Audrey and the cupcake…that is priceless! gorgeous, neopolitan layered tall cake in pink, my fav color too !!!!! it’s beautiful! looks great to me! love the colors inside! What a tall and lovely cake for a one-year old! 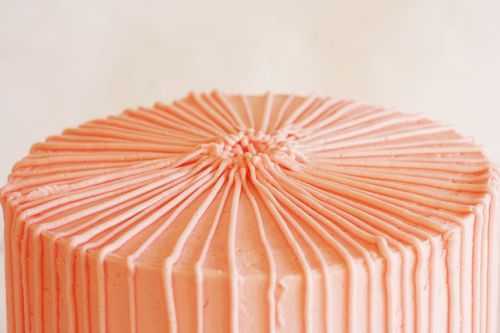 It’s a truly beautiful cake. I absolutely love the colours. They all work wonderfully together! Happy Birthday Audrey! The cake is awesome! The colours are wonderful too. Is that buttercream frosting? How did you make those colours inside? I would be grateful idf you would post the recipe because I want to prepare the same for my daughter on her birthday. 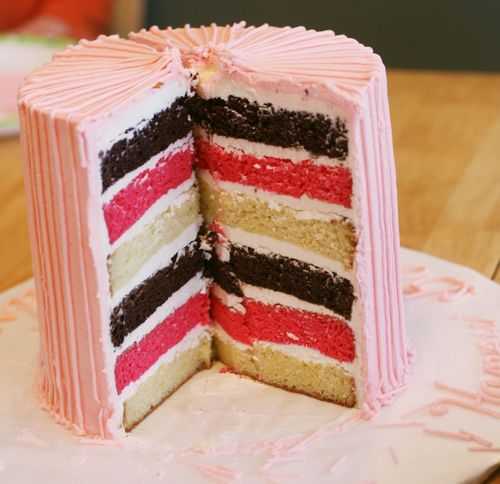 Gorgeous cake: inside-out. Love it. Belated Happy birthday to your little girl!